Amazing Brave Rach is the latest entertainment game released by Seven O + Studio, involved in this game, players will be accompanied by the mischievous fox and set out to find his sister. 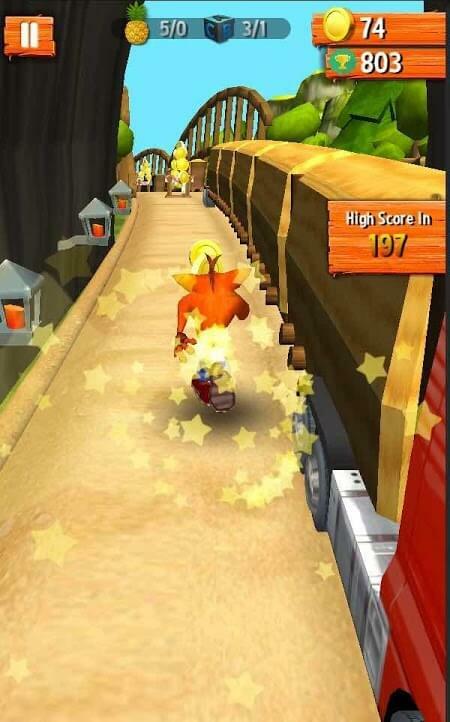 To be more precise, this is a non-stop game like the familiar games of Template Run and Subway Surfers. Just after two weeks of release with the first version and an updated version released yesterday, the game has reached 50000 downloads on Google Play. Let’s find out the features and explore this fun game. The story of the Fox brothers, living in a small valley, both of them have a peaceful and happy life until one day the sister is kidnapped by the lord of the monkey. No other way, the brother will have to save his sister and revenge the hateful monkeys. You will have to control the fox over a long journey, and of course, there will be no shortage of challenges and obstacles on the way. Try not to be discouraged because his sister is in danger. Try to help him come quickly to be able to save his sister. Knowing the uncle is coming, the monkey has sent many monkeys out to harm the fox, to destroy him on the way. Your job to help him is to try to get away from the nasty monkeys and the bananas that are thrown by them. However, if they appear alone, you can attack them by accelerating and shooting them. Along with that, you have to try to collect as much gold and fruits appear on the way to buy more necessary equipment, which helps this task. 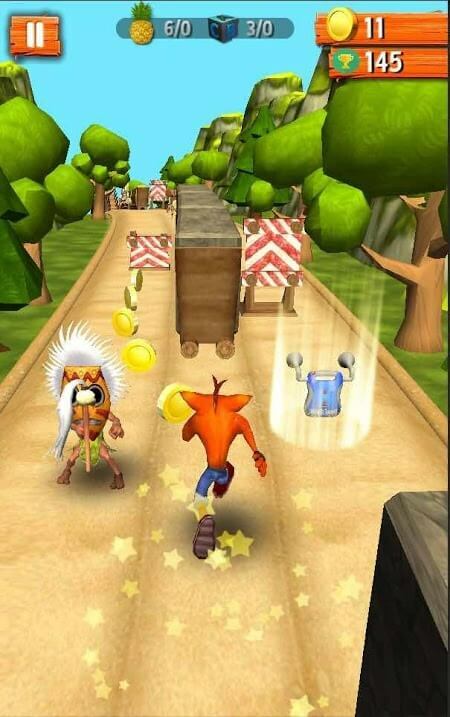 All characters in Amazing Brave Rach Mod APK are polished 3D design and design style similar to the characters that appeared in the popular cartoon. So, start playing this game up, we will get a very familiar feeling, not too strange from the play to the character image. Overall Amazing Brave Rach is a fun entertainment game for everyone. Joining this game you will be exploring many new things on the path to find your sister with the friendly squirrel. With a new style of play but still very simple, it is an indispensable game for everyone after school and stress work.